Into the Cultural Landscape Fountain, within the the Jim Ellis Freeway Park in downtown Seattle (near the Washington State Convention Center). 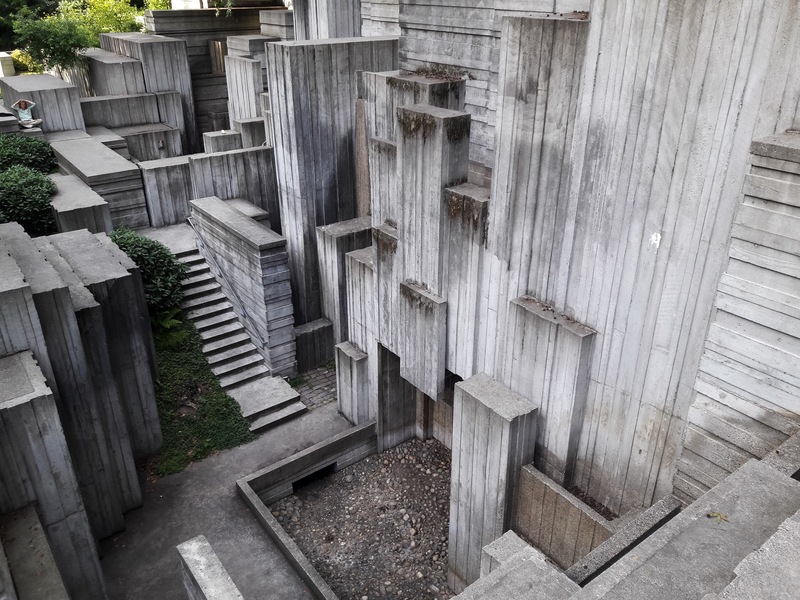 Design by Lawrence Halprin, whose work can be seen in many parks and landmarks across he United States. The crazy thing about this, is that one could walk by the fountain for many days, weeks, months; and yet miss the majesty within. Such is easy to miss, but hard to forget when found. Stop when near enough in Seattle, and check it out. Posted on June 7, 2016 by Orion T.	This entry was posted in Architecture, Art, Photography. Bookmark the permalink. It’s beautiful, but where’s the water? I remember that….the sound of the waterfall meant to help mask the sound of traffic on the freeway.